If you happened to drop by the site on Friday, you may have noticed it looked…a bit different. 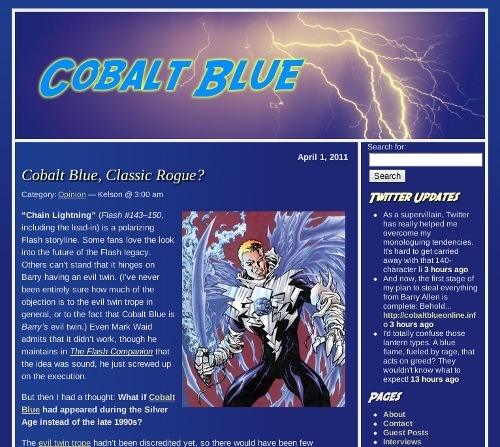 Yes, we re-branded Speed Force as Cobalt Blue Online, complete with multiple articles about the “Chain Lightning” villain. What with WonderCon starting and it being Flashpoint Friday, we thought about posting some joke news about the real villain behind Flashpoint, but the closest we got was Devin’s Cobalt Blue T-shirt design. Everything else we posted was true, speculation, or opinion…just a bit out of the usual topic range. Cobalt Blue Online wasn’t the only blog to do this. A whole slew of comics character– and team-focused blogs reinvented themselves for a day to focus on Red Star, Vibe, the Osprey, Dreadstar, Marshall LAW, Valkyrie, B’Wana Beast…and the Top. Update: The Idol-Head of Diabolu has a great recap of the whole group event. Update 2: The Irredeemable Shag has another recap with screenshots of all the participating blogs over at FIrestorm Fan. You can read all our April 1 articles, including the Flashpoint and WonderCon news, or just the Cobalt Blue (and related) posts. Thanks to Devin, Greg and Lia for all their help, and the readers who dropped by for playing along – it was a blast! This entry was posted in Fun and tagged 2011 April Fool, April Fool, Cobalt Blue on April 4, 2011 by Kelson. Who Is Hot Pursuit, REALLY? This entry was posted in General and tagged 2011 April Fool, Cobalt Blue, Hot Pursuit, Road to Flashpoint, Speculation on April 1, 2011 by Kelson. All right! With wild speculation concerning the identity of the individual(s) behind Flashpoint swirling about, we have a surprise exclusive being released first through VA Comicon coming up April 9, 2011 in Richmond, VA. 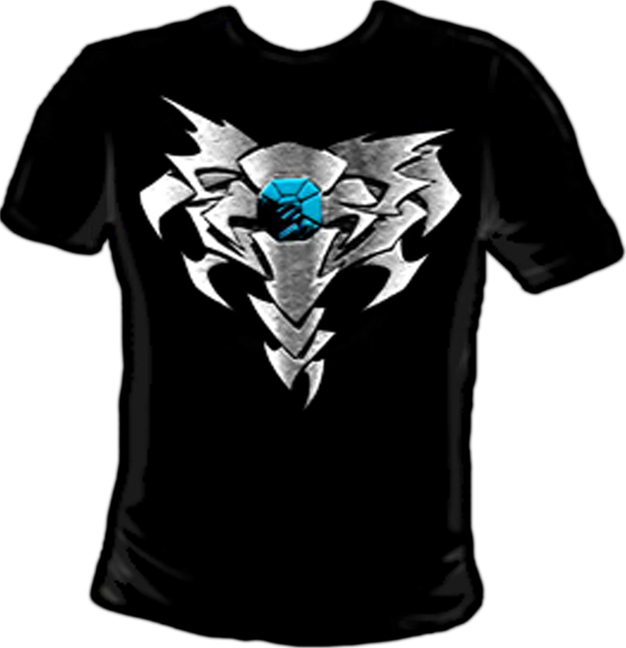 The remaining t-shirts will be distributed through various outlets until they are gone. The T-Shirt retails for $19.99 and will only be available in limited quantities. I think the timing of the shirt is indicative of what I’ve known all along; Malcolm Thawne is behind Flashpoint and Barry Allen has no hope of stopping him. Who plans on picking this baby up? This entry was posted in Collectibles, Fun and tagged 2011 April Fool, April Fool, Cobalt Blue, Exclusive, Flashpoint, T-shirts, VA Comicon on April 1, 2011 by Devin. Cobalt is an element obtained from the smelting of metallic ores such as cobaltite, copper, and nickel. The smelted form is a hard silvery metal with magnetic properties. Cobalt-based blue pigments have been used since the Bronze Age (3000 BC) for glass, ceramics, jewellery, and paint. In modern times, the element is also used as part of a superalloy metal (which is a combination of metals) for diverse items like prosthetics, batteries, jet engines and turbines. A radioactive isotope of cobalt is commonly used in medical tests and to sterilize food and equipment. 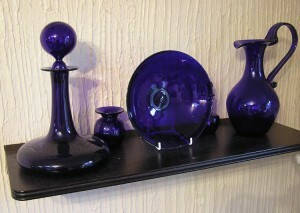 Cobalt Blue is the name of a deep blue pigment used in ceramics, paint, glass, and even ophthalmology filters. It’s made from cobalt salts of alumina, and its popularity is in part due to its stability (meaning it doesn’t degrade or break down quickly). However, it’s toxic if ingested, much as I’d imagine Malcolm Thawne to be. The Cobalt Blue tarantula is a spider species native to Myanmar and Thailand, notable for its iridescent blue legs, speed, and aggression. Somehow…this seems fitting. This site describes them as “a psychotic, high-strung burrowing species”, which makes them seem even less appealing. 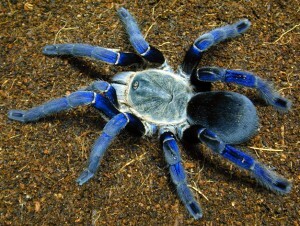 There are many similarities between a blue tarantula and Malcolm Thawne: one is despised by most people and looks ridiculous. The other is a spider. This entry was posted in Fun and tagged 2011 April Fool, April Fool, Cobalt Blue, Humor on April 1, 2011 by Lia. 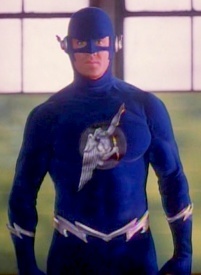 When it comes to the 1990 Flash TV series, true Cobalt Blue fans usually list the “Twin Streaks” episode at the top of their playlist. 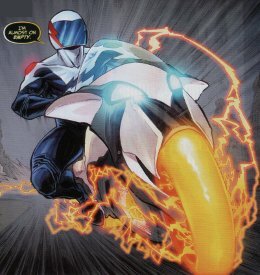 Predating Blue’s first appearance by eight years, “Twin Streaks” introduced Pollux, a clone of the Flash created from a sample of his blood. Grown in a lab, Pollux was a prototype for what his creators hoped would be a line of super-soldiers. He also held some of the traits that would become associated with the Cobalt Blue character. While Rogues like Captain Cold, Trickster and Mirror Master appeared in modified versions of their comic book counterparts, Pollux mixed “reverse Flash” with evil-clone/twin and was driven by jealous rage. While it would be a stretch to suggest that Pollux inspired writers Mark Waid and Brian Augustyn when creating Cobalt Blue, the raging jealousy and evil-twinness are something that both characters hold in common. Upon reaching a certain level of self-awareness, Pollux set out to annex aspects of Barry’s life, real and percieved, leading up to a super-speed showdown at the lab where he was weaned. Pollux hit close to home for a lot of CB fans, and even inspired this loving tribute. For more information on Pollux (TV’s Cobalt Blue! ), check out this bio, and a review of the episode (from Crimson Lightning). This entry was posted in Flash History and tagged 2011 April Fool, Cobalt Blue, Flash TV Show 1990, pollux on April 1, 2011 by Greg Elias.